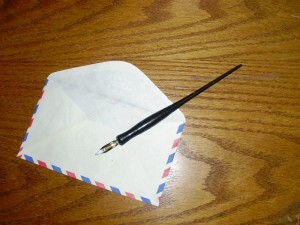 When’s the last time you hand wrote a letter and sent it in the mail? Join us in Lobby 10 if you’re up for surprising someone with a handwritten letter. We’ll provide the paper and pens (including quills and ink if you want to write like Harry Potter) and we’ll even teach you how to letterlock it shut with sealing wax and built-in security devices if your correspondence needs extra protection. We’ll mail the letters for you via USPS.